This is the final post in my series discussing the rights a Las Vegas grandparent may be entitled to when it comes to winning visitation or custody of a grandchild. Clark County Family Courts will defer to the biological parents’ wishes in the bulk of cases regarding visitation with a child. This means there may be little a grandparent can do in matters where a falling out has occurred which has nothing to do with the child. However, in certain situations, a grandparent may have a legitimate case to make when asking the Court for visitation with a grandchild. Grandparent cases may be complicated- while it may be in a child’s best interest to maintain a relationship with a grandparent, the Court will be reluctant to override a biological parent’s wishes without a very good reason. Nevada law will always require the Judge to protect the best interests of the child. This means that any evidence a grandparent can present, proving that their relationship with the child, is important will be beneficial to the case. In general, the Court will consider cases in which a grandparent has lived with the child for some period of time, provided extensive child care, or has a history of speaking to the child on a daily basis. 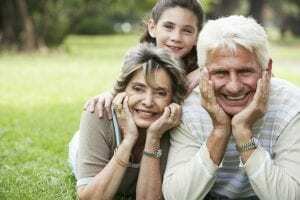 If you are a grandparent and are being prevented from spending time with your grandchild then it is important to consult with a family law attorney who is familiar with the law. I will listen to the facts of your situation and help you determine the strength of your situation. I will also discuss with you the options you have moving forward and provide an honest assessment of what is likely to happen if you pursue legal action. If you are a grandparent and are worried about your grandchild, you may have legal options. Contact a grandparent rights lawyer today. I service the greater Las Vegas area.